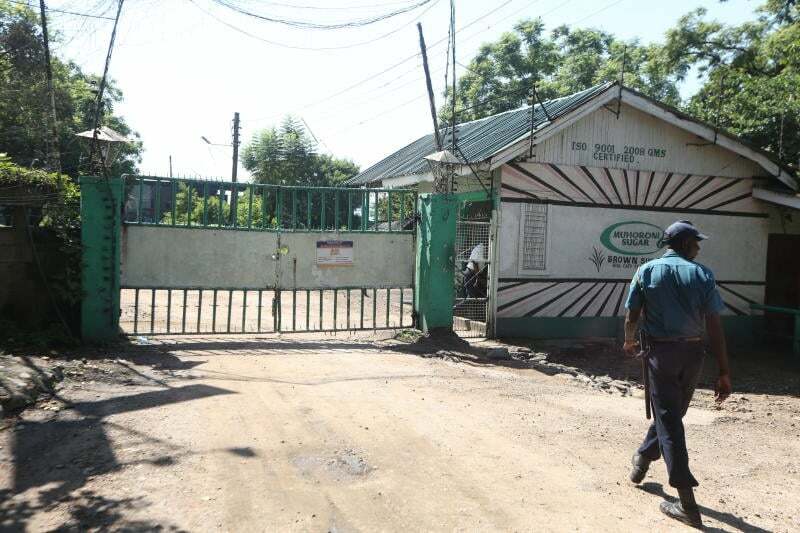 Things are getting murkier at the Muhoroni Sugar Company with the factory manager Walter Odum now threatening junior employees for leaking information regarding his corrupt ways at the company. According to inside sources, Odum, who brags to be former Nairobi governor Dr Evan Kidero’s cousin, called a meeting of his juniors last week to ‘warn’ the junior staffers. This happened even as the farmers were busy in a meeting with the receiver managers piling their pressure to have the looters removed from their positions. Kahawa Tungu‘s investigative desk learns that Odum took more than 30 minutes threatening the staff members whom he assured that his inner circle (the other looters) are very loyal to him, calling the others who are not for his actions to decide. “My inner circle participants know how we’ve been doing things and for some of you who are still working here and don’t want to toe my way, you better decide as am not ready to play with my juniors,” he reportedly said. The farmers meeting with the receiver managers bore no fruit as the factory management still showed no willingness to deploy the accused workers to other sections to pave way for change. The farmers, most of whom stopped supplying the miller with their cane, had resorted to trade with the private miller Kibos Sugar as they pile pressure on the Muhoroni Sugar to either sack or deploy elsewhere the adversely mentioned staffs and technicians. This move by farmers has seen the miller operations frustrated due to lack of sufficient cane, a fact that may see them close once again. Despite the farmers writing to government agencies to request for a forensic audit of the company and thorough lifestyle audit of individual employees to know the source of their wealth, the relevant state agencies have shown very little or no commitment. In the letters sent out to various institutions like Ethics and Anti-corruption Commission (EACC), Directorate of Criminal Investigation (DCI), Ombudsman Office, Kisumu county Governor, Cabinet Secretary for Agriculture Mwangi Kiunjuri, still no investigative audit report has been publicly availed. However, this desk learns that the AFA’s risk assessment team of auditors have started an investigation into the matters in question. The auditors summoned all the factory heads of departments to a meeting in Kisumu’s CBD where they were briefed on the intended audit to Kahawa Tungu‘s exposés. However, farmers and stakeholders are afraid that the cartels might choose to manipulate any investigation, just like they have done in previous audits in the factory. Previous audits have never been successful as the factory cartels give lump sum handouts to auditors to cover up their corruption. Last year, two teams of auditors were sent to Muhoroni where they uncovered a lot of malpractices but they covered them up as the same cartels are still up and strong in their respective offices. Odum and his team are accused of theft through twisting of the farmer’s supplied cane, artificial breakdowns, spares prices inflation, machinery theft and abuse of public office. “In this factory, employees use the company’s machinery for their personal gains. The farmers have no access roads to their farms and the miller has ever complained of lack of equipment while the staff members use the same roads construction equipment to do their private works,” says our insider source, who spoke on condition of anonymity. It is also true that the adversely mentioned cartel employees are busy holding meetings with irate youths outside the factory premises to help them fight back the farmers’ call for their sacking. The cartels have put the youths whom most are jobless on a daily wage to aid their movements while gathering information and intimidating the farmers to calm down.